Wherever you work and whatever environment, every company has a goal that it sets out to achieve. It could be to improve sales and increase turnover, or simply to maintain their current position in the marketplace. Whatever the reason, most organisations will use a technique that measures its progress towards achieving its goals and ensuring that their employees are marching in step to achieve the same goals and objectives. Key Performance Indicators are those measurements. 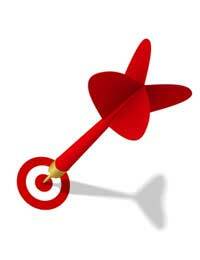 Key Performance Indicators (KPI’s) are often described as the business metrics that drive a business forward. But what are they and how can they help you in your job? Many of you will know where you want to be in one, two, five or more years. You may want to move into management, become the head of department or set up your own business, for example. And you may already have a plan in place to help you achieve your goal so that you know what you need to do and how to get there. Businesses are exactly the same. A business will also have short-, mid- and long-term objectives and will put measures, or KPI’s, in place to achieve these goals. Therefore, as part of the company, the KPI’s that you are given as an employee are designed to reflect the organisation’s overall goals, to help them get to where they want to go. For example, they may want to be viewed as one of the best call centres in their region. So your individual KPI may be to reduce call-waiting times by 20 per cent by answering 80 per cent of all telephone calls within the first thirty seconds. Or the business may have as one of its Key Performance Indicators the percentage of its income that comes from return customers. Whatever Key Performance Indicators are selected, they must reflect the organization's goals, they must be key to its success, and they must be quantifiable (measurable). Measurable	- is the goal obtainable, are you on track, have you achieved it? Realistic	- can you achieve the task within the allotted time, budget, and resources? Time related	- will there be enough time to complete the task? How Do You Know If You Are On Target? This form of management by objectives is popular with many business leaders including Steve Jobs, CEO of Apple, because it enables organisations to measure results in terms of sales, profits, margins, productivity, etc. Once you and your manager have agreed what you will try to achieve in the period ahead, regular one-to-one discussions should follow whereby you will both review your performance and ensure that you are on course for achieving your objective on time. This will involve comparing your previous performance to your current level and taking steps to keep you on track. And as the organisational goals can change, so too will your individual KPI. For a KPI to have any real value there needs to be a way of measuring it. This is a poor example of a KPI because it fails to differentiate between the number of individual sales required, value of sales, or whether the sales are to be generated through developing new business or repeat business. A better example of what a KPI should look like, is: ‘Increase Renewal Sales Target by 20 per cent year on year’In this instance it is evident what is expected of you and empowers you to take steps to achieve this target. Love them or loathe them KPI’s are here to stay. But don’t view KPI’s in a negative way, be motivated by them and look forward to the satisfaction of achieving them. And, because your KPI’s are aligned to the goals of your company, there is the sense of responsibility and ownership that you are an influencing factor in the fortunes of your organisation.